Quick Links: FS: Magnaflow Cat Back Exhaust (#16625) FS: NEW Polk Audio db6501 6.5" Component System Bracketron phone/gps mount for Tacoma with Proclip iPhone hoder Brand new Eclipse AVN6620, Bluetooth, and Ipod adapter Overhead compass/thermo for sale Bed cover for sale. Discussion in 'Buy / Sell / Trade' started by RogerLa, Feb 25, 2008. 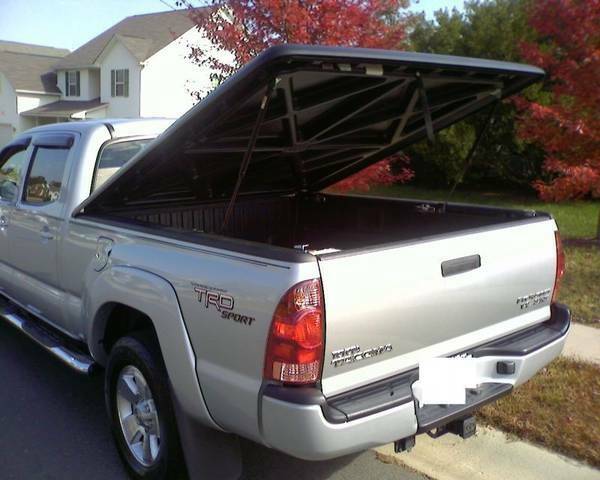 4 Sale, Paid $700+ for this in 2005, perfect condition... fits 2005-2008 long tacoma bed, improve your gas mileage. My wife is getting me a full Lear topper 100XQ for my birthday.. more of a want than a need and I don't need this anymore. Willing to take any reasonable offer it's just taking up space. Only catch is I don't want to ship it so you'll have to come pick it up in S.E. Charlotte, NC (Matthews). This unit was professionally installed and removed. I have original receipt. I will accept cash or paypal if you want to pay with a credit card. Just as a little plug I have this cover and love it. 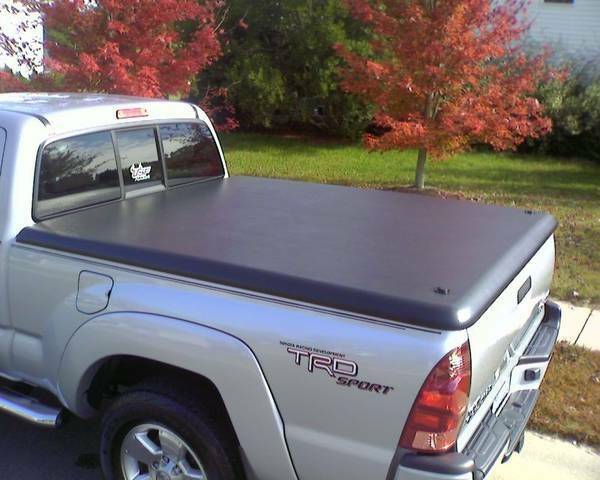 It looks good, goes on and off easily and doesn't let a drop of water into the bed. I'll let it go for $300 but you'll need to come pick it up in SE Charlotte, NC. Your Undercover still available? Is it smooth or textured surface? Paintable? Thanks. Yes it's still available.. the surface is a rough texture.. i don't know if it's paintable.. it comes with a black gloss and looks very nice.. does not require any maintenance to keep it looking great. I'm ready to accept offers.. need to move soon so one way or the other this needs to go..